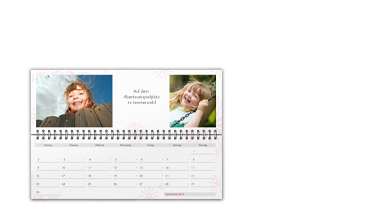 Whether at home or at the desk in the office - with the practical Standing Desktop Calendar all your important dates are easily in view. 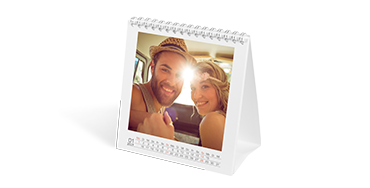 You can customise the square desktop calendar with your personal photos and choose from different layouts and templates. 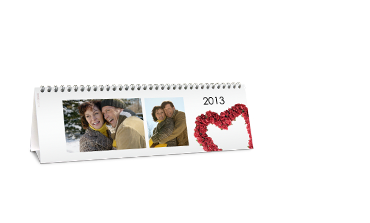 Never forget birthdays or misplace notes again: Keep track with an individual appointment calendar for your desk.